I have mixed feeling on this one, but I am sure it was delicious. You, Todd and I should get lunch someday. I did not know there were any Conshi food bloggers. 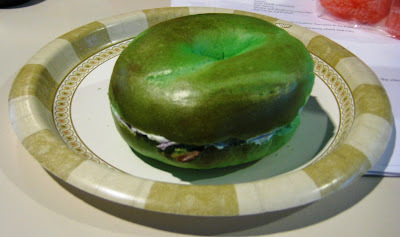 Did you know that bagel is GREEN?!? !